Thiruvannamalai is an ancient spiritual city named after the holy mountain which is older than the Himalayas. It was formed on 30th September 1989 after the bifurcation of old North Arcot district. The maga theepam festival of the district is world famous. 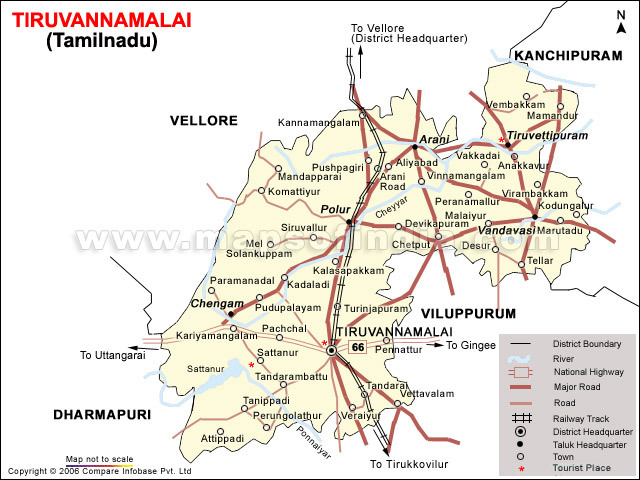 It is bound by Vellore district in the North and West, by Dharmapuri district in the South West, by Villupuram district in the South and by Kancheepuram district in the East. There are no perennial rivers in the district. Tanks and dug wells are the major source of irrigation in the district. An area of 2,19,150 hectares is under irrigation. Agriculture is the main occupation of the district. Paddy, sugarcane and groundnut are the major crops grown in the district. Majority of the farmers and labourers own live stock. Dairy sector provides ample employment opportunities to the people of both rural and urban areas. 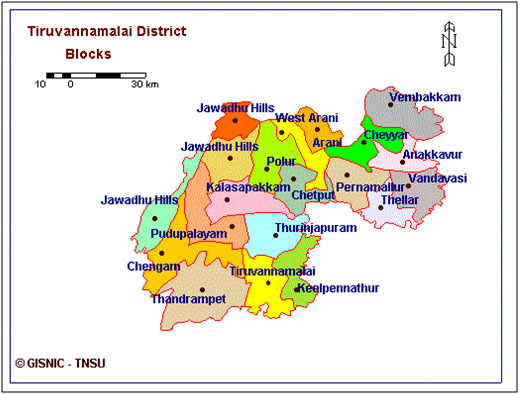 Thiruvannamalai occupies one of the top slots in terms of milk production, nearly 5 % of states milk production comes from this district. Cross breed cows are high in population compared to indigenous cattle and buffaloes. Four soil groups viz., deep red soil, thin red soil, clayey soil and gravelly soil are in the district. The predominant soil type in the district is red. Red series loam is found in the tlauks with concentration in Polur taluk. Red series sand is also found in the all the taluks but predominantly in Thiruvannamalai, Chengam and Vandavasi taluks. Different types of soil like ferrogenous loamy and sandy are seen throughout the district. Black series of loam is found in tank and river bed areas of Vandavasi and Cheyyar taluks.